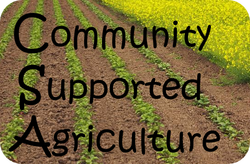 So, what is CSA (Community Supported Agriculture) all about? Over the past three decades, Community Supported Agriculture (CSA) has become a popular way for community members to buy organic, seasonal food directly from a local farm. At Buhrmaster Farms, we're proud to be a part of this movement. We issue (sell) "shares" of our crop to the community. As your investment matures, you reap dividends in the form of a basket of fresh produce each week! 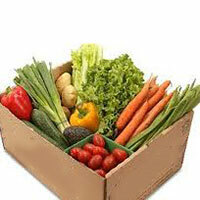 A share entitles the customer with a weekly harvest of fresh produce. A full range of vegetables,herbs,small fruit (berries), tree fruits such as peaches, plums, cherries, pears, and apples, different varieties of milk (whole,2%, fat free, chocolate) and cut flowers will be offered for about 20 weeks (weather permitting.) The season runs June through October and our produce is available as harvested. Your shares will be provided in a half bushel basket. Pick up day is Thursday. Time is after 1 pm to 6:30. Another special concept integral to the CSA model is the notion of 'shared risk'. In poorer crop years your baskets won't be quite as full. It says much that you're willing make this investment in your community.